Home » Insights » Do Vegans Really Need To Take Supplements? Do Vegans Really Need To Take Supplements? 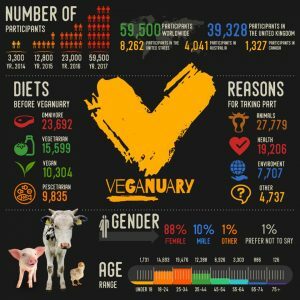 Veganuary launched in the UK in January 2014, aiming to encourage consumers to try a vegan lifestyle for the month of January. But while a large mass of the public chooses to change their diets, do vegans need to supplement the vitamins and minerals that are found within animal products? A vegan balanced diet will provide almost all the essential nutrients needed in enough quantities. However, this is only if each consumer regularly eats certain fortified foods. Most modern food production systems and lifestyles make it more difficult for not only vegan consumers, but all of us. It doesn’t mean that a vegan diet is unnatural or unhealthy, but it means that how food is grown, produced and consumed has changed so much that with an ever-growing population, the demands on the systems that produce foods are so high that nutrients are harder to obtain. What supplements should vegans consider? Vitamin B12 naturally comes from bacteria within the soil and both people and animals would have originally got it from eating unwashed plants. Now, for multiple reasons, we wash vegetables before we eat them and food production is now sanitised, meaning some vegetables are washed in chlorine or sterilising solutions so the B12 is eradicated. Most aren’t aware that farm animals are provided with B12 supplements which are how meat eaters consume it within meat products, which is how vegan consumers will often miss out on this necessary vitamin. We use vitamin B12 to produce red blood cells, heart health and blood circulation, as well as it being essential for the nervous system. Vitamin D is necessary for healthy bones, teeth and muscles as well as other essential functions helping normal metabolism. It is produced within the skin when exposed to sunlight and is the main source of vitamin D for most people. Fortified foods such as milk and margarine are useful sources, however, vegan alternatives may not be enough. When it comes to supplementation, there are two kinds of vitamin D. Vitamin D2 is always vegan, but vitamin D3 can be of animal origin. Many vegan foods are fortified with vitamin D2 and labelled so, but if it isn’t specified, vitamin D tends to be from an animal origin. Iodine has been a popular topic recently, as tabloid journalists have recently warned that vegans may be missing out. Iodine is necessary for thyroid function and helps to regulate how energy is produced and used within the body. Should you take a multivitamin “just in case”? It may be an easy alternative to opt for a multivitamin capsule to be on the safe side. However not all multivitamins contain iodine, not all are vegan, and some contain high levels of certain nutrients that may not be essential for vegans. 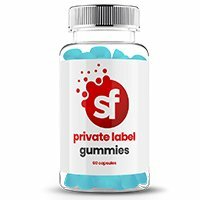 If your customers are looking to achieve specific nutrients needed for a vegan diet, Supplement Factory can assist in private label contract manufacturing vegan supplements from capsules, powders, tablets and gummies. Does Your Gut Health Affect Your Mental Health? Stevia vs Sucralose – What’s the difference? What’s New in the World of Protein? 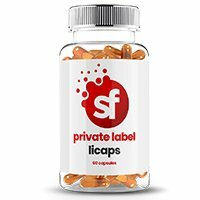 © Copyright Supplement Factory Ltd 2019. All rights reserved.